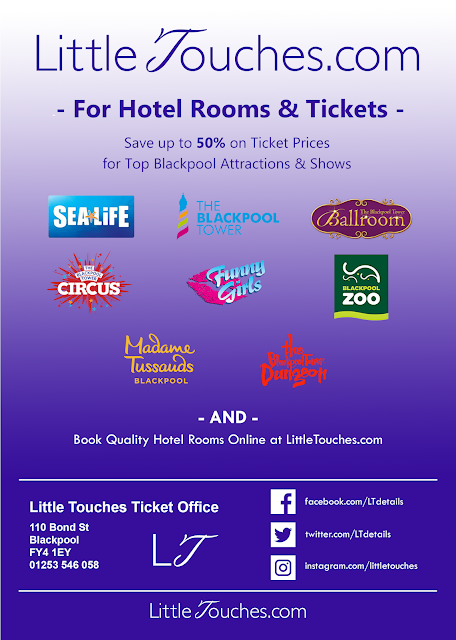 We've jazzed up our Little Touches ® Hotel Agency & Ticket Office leaflet this Autumn. A selection of some of the big names we sell for are there on the front in glorious Technicolor and overleaf you'll find a roll call of well-knowns too. 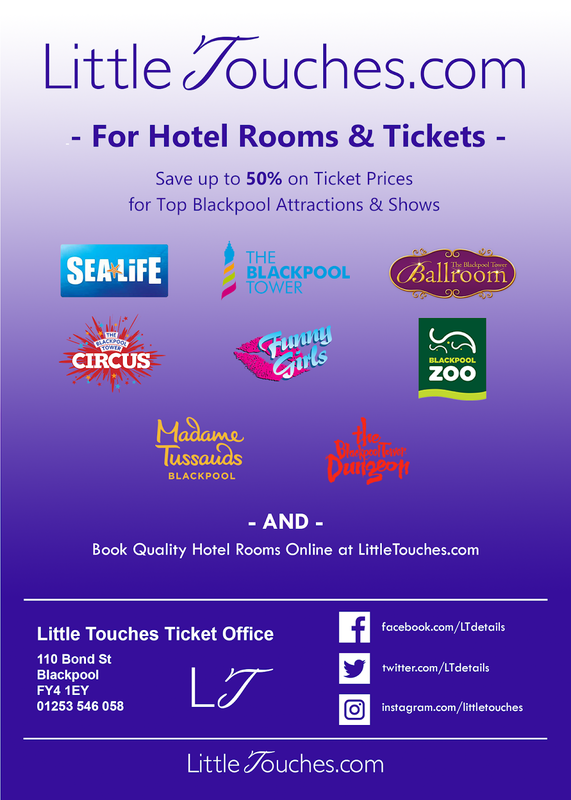 Our ''referrer army'' of hoteliers in the streets surrounding our Bond Street/Withnell Road crossroads base in South Shore have been a key part of the continued growth and success of our Ticket Office, led by the likes of The Old Coach House (Dean Street) and Branston Lodge (Withnell Road). Taking a proactive vs. atomised approach, they view us as a welcome extension to their offering. 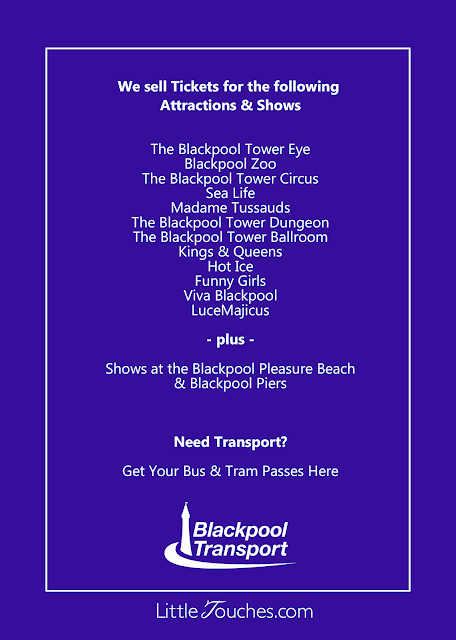 Be sure to keep a watchful eye on both our Google My Business profile and Facebook Page for reviews and recommendations relating to the services we serve up a mere two streets away from Blackpool Pleasure Beach and close to Sandcastle Waterpark, Grosvenor Casino and Wetherspoon's magnificent superpub The Velvet Coaster. As a company that puts words firmly before numbers, we've been encouraged by Facebook's move to axe its 1 to 5 star ratings in favour of written recommendations of at least 25 characters that are either/or...good/bad.